One man faces serious charges of reckless endangerment and evading arrest due to his decision to keep driving after officers requested he pull over, forcing police to pursue him across state lines. The man drove from Alabama into southern Tennessee. He also swerved toward an officer who had exited his vehicle, endangering the officer’s life. The man was arrested after running out of gas. Turn or drive without regard for turn lanes or other directional regulations. Although the law gives emergency personnel quite a lot of leeway to do what they need in order to fulfill their duties, there are limits. Drivers of emergency vehicles are still required to utilize lights and sirens to increase visibility and to continue to operate with regard for the safety of everyone involved. Other drivers are required to pull over and stop to allow the emergency vehicles to pass safely. Take care not to stop in the middle of the road or otherwise obstruct the officer’s path. If your accident is the result of a police chase, your path forward will depend largely on whether the fleeing suspect or pursuing officials caused the accident. If you were struck by the driver being pursued, your claim will proceed as normal, beginning with their insurance coverage and continuing with a personal injury suit if necessary. No matter who struck you, be certain to document the circumstances of the accident in order to prove that you were not at fault. Additionally, if you are struck by the police car, you will have to prove that you did not aid in causing the accident by disregarding the lights and sirens. Because emergency officials are permitted to disobey the rules of the road in pursuit of a suspect, you will not be able to use standard proofs of fault, such as speeding or failing to signal. If you’ve been injured in a car accident as a result of a police chase, contact the Nashville attorneys at Calhoun Law PLC immediately. 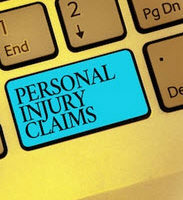 We can help to ensure that you receive the compensation you need.